We just got back from the #BCTechSummit! 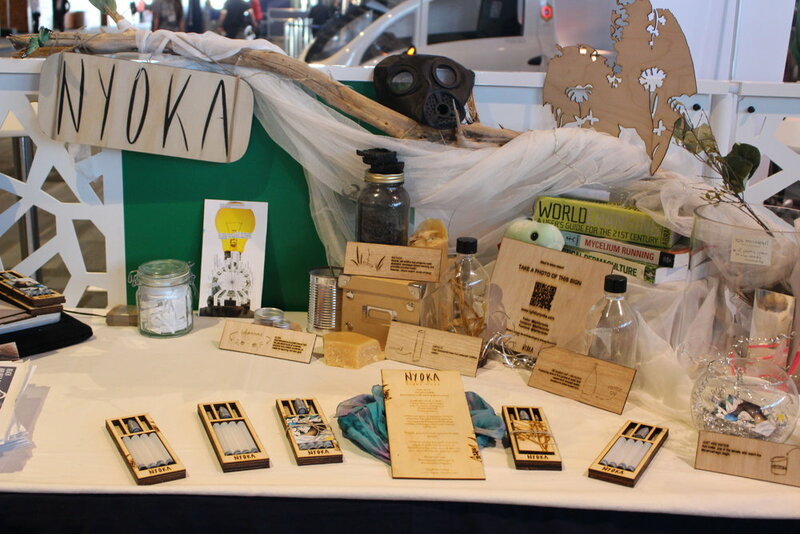 It was a jam-packed few days spent in Vancouver, meeting hundreds of people, and making valuable connections to bolster the Nyoka vision. 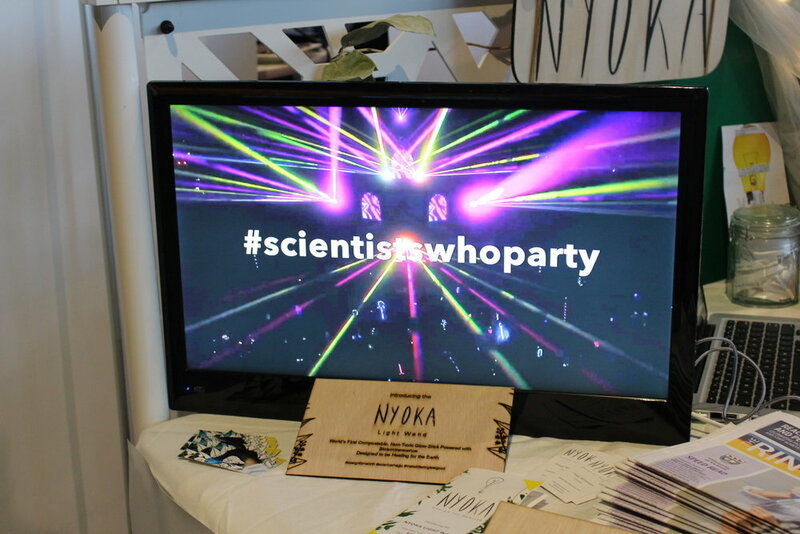 Nyoka was chosen as a feature venture showcase through the UVic Innovation Centre, one of five projects chosen for the BC Tech Summit expo. It was an honour to be chosen among such amazing UVic ventures, and it was an absolute pleasure to get to spend time with the other project teams. What even happens at a tech summit?! 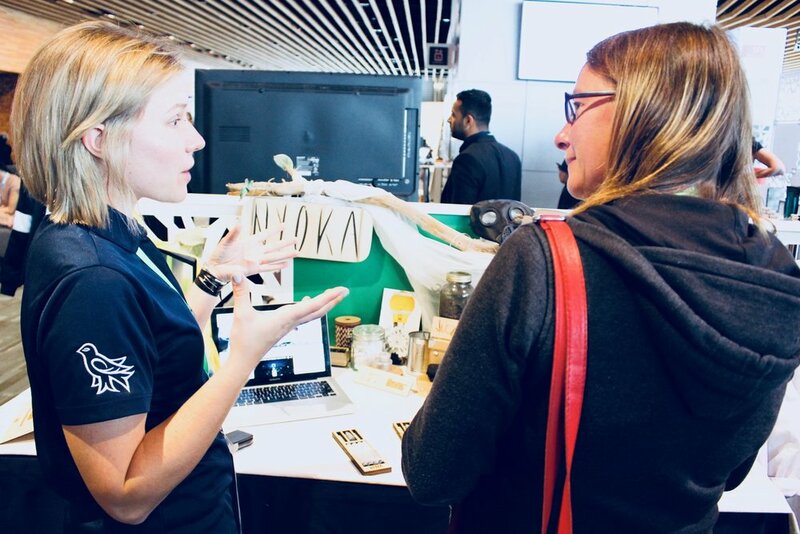 At the Summit we set up a Nyoka table, showcased our current prototypes, networked up a storm, and attended some valuable information sessions. Our favourite project at the summit was one of the only other 'green' ventures there, a start-up called Aeroroot which is designed to quickly grow plants indoors - think a green wall you can pick your salad greens from! We nerded out about microbial soils which we were not expecting the chance to do at such tech-heavy event. It was also great to see many Uvic researchers there, including a group from Victoria Makerspace, where we do most of our prototyping. Another highlight was Youth Innovation Day, when hundreds of high school students were unleashed in the conference centre. "Kids these days" are so cool, and some even knew about the soil microbiome, electron-holes, and the enzyme-group that causes bioluminescence (luciferase). So impressed and inspired by the next generation of scientists, change makers, and innovators. We gave out Core Glow stones to everyone who listened to the 1-minute Nyoka Project talk - we hope they see the glow and remember that there are people in the world working super hard to be a force of healing. And at the very least, they have a cool science-token to inspire them! Also ran a business card draw for a Biotoy Splashlight! On the last day there was an afterparty at Science World! Let's just say that we think every party should be held there from now on. So many fun interactive activities that were actually fun and engaging, it provided a perfect environment to meet new people, have fun, and not feel too awkward, because there was always something fun to do! We played mind-ball, channeled Mr. Big in a giant-floor-piano Heart & Soul duet, and danced in front of motion-tracking cameras that turned your motions into a projected rainbow-blur display. SO COOL! Those hard conversations, and seeing the lack of nature in the large city, made us even more determined to use our platform to raise awareness for the importance of caring for our natural environment, and made us even more grateful for the many people around the world working to build a future that is in harmony with the planet. We have a huge task ahead, but coming from a place of love for the Earth gives us the energy to work through the hard times. Love and deep restrained panic, amiright!?! ?